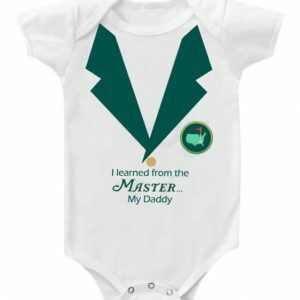 Get your new little “Pro” familiar with the course from the very beginning, with his”Flag on the Green” short set. 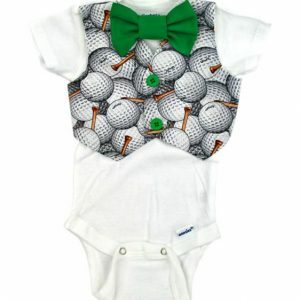 It all starts with a handsome white shirt, appliqued with a flag on the green in the center chest area and finishes with matching seersucker blue and white stripe shorts embroidered with a flag on the greens, all over on the background. 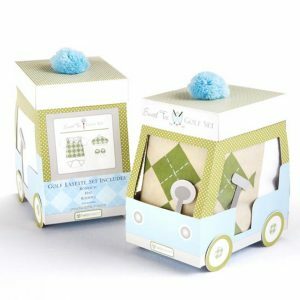 This is the perfect gift for those just beginning to learn their way around the game of golf. 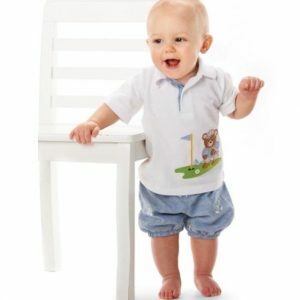 The short set is ONLY available in LUCKY SIZE 12/18 months.